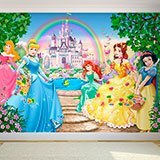 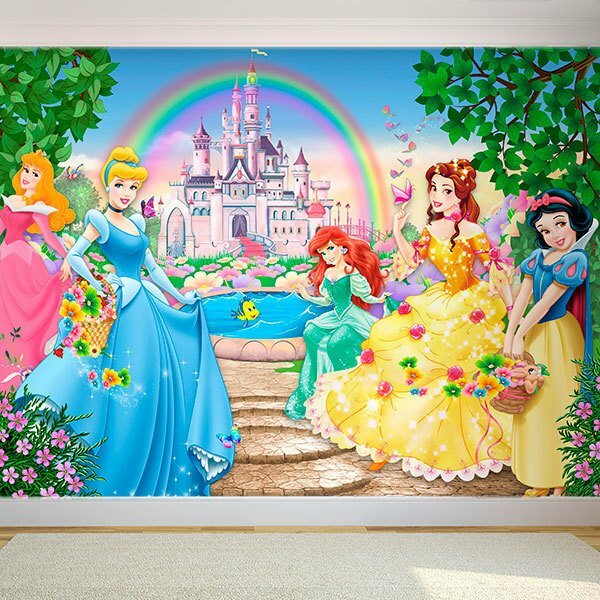 Wall mural Princesses and Disney Castle. 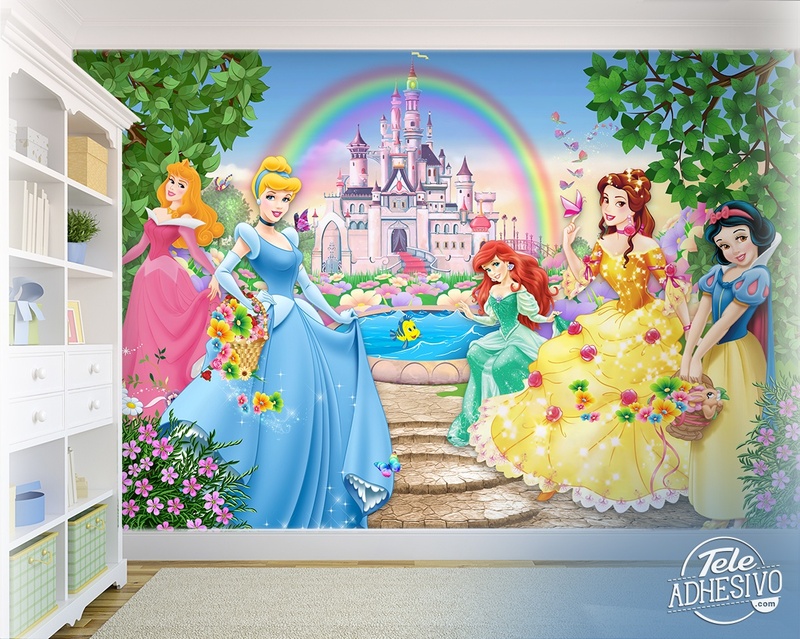 Illustration of 5 of the most famous Disney princesses and favorites of the smallest of the house. 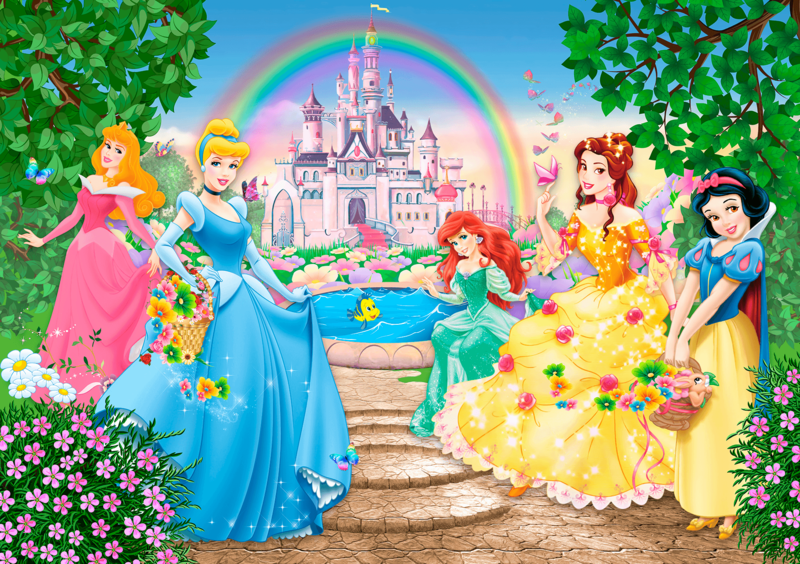 They are dressed in big and pretty dresses like princesses that are and in the background you can see a big and striking castle surrounded by a perfect and beautiful rainbow.